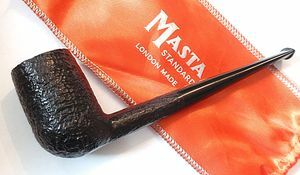 Masta was a brand founded around 1900. When Parker Hardcastle Limited was formed in 1967, they also incorporated the Masta Patent Pipe Company. From this point this was a Dunhill/Parker/Hardcastle offshoot, primarily for the Scandinavian market. The brand no longer appears to exist. Masta was at the end rarely the equal of a Parker. This page was last edited on 20 October 2012, at 14:26.